Your powered subwoofer is only as good as the cable used to connect it, and most ordinary interconnect cables just don't deliver. 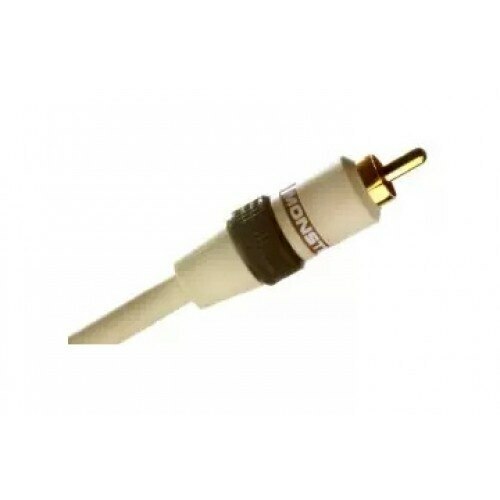 Standard cables typically offer poor shielding, inferior construction, and flimsy connectors, resulting in a poor low-frequency signal transfer while struggling to reject noise and hum. The subwoofer subsequently produces loose, distorted, flat bass. Monster Bass 100 subwoofer cables, on the other hand, were designed specifically with subwoofer performance in mind. MB 100's special bass conductor improves low-frequency signal transfer, giving movie sound a wider dynamic range, greater accuracy, and deep, tight bass. To combat the common noise problems that invade ordinary cables, MB 100 cables feature a high-density copper braided shield for maximum interference rejection--the type that causes hum and buzz in your subwoofer. The MB 100's two "balanced" conductors also deliver fuller, more natural sound, which makes music and sound effects come to life. Finally, Monster's precision 24k gold contacts maximize conductivity and corrosion resistance for a lifetime of superior performance. If you want amazing home theater sound, your subwoofer has to be performing at its best, and Monster Bass 100 offers the easiest, most cost-effective way to upgrade your subwoofer performance.